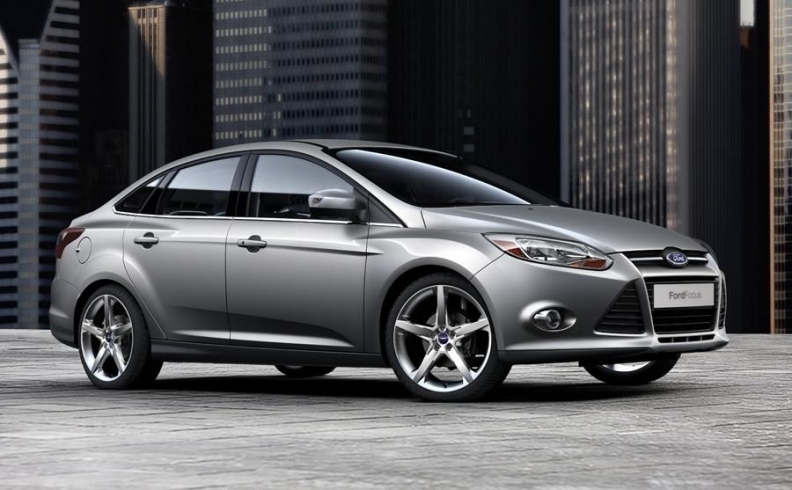 Ford is recalling China versions of its Focus made over the last 21 months. (Bloomberg) -- Ford Motor Co. has offered to fix 236,643 Focus cars in China because of ignition problems, the automaker's largest recall in the country. The vehicles were made by a venture between Ford, Japan's Mazda Motor Corp. and Chongqing Changan Automobile Co., according to a statement today on the Web site of China's General Administration of Quality Supervision, Inspection and Quarantine. The cars were made between Aug. 18, 2008, and May 28, 2010, it said. The company is recalling the vehicles after about 2 percent of drivers experienced stalling, usually after traveling at low speeds, Ford spokeswoman Whitney Foard Small said by phone today. Ford will install new engine calibration software in the cars to correct the problem, Small said. Ford owns 35 percent of the three-way tie-up, called Changan Ford Mazda Automobile Co. Changan Auto owns half and Mazda owns the remaining 15 percent stake.